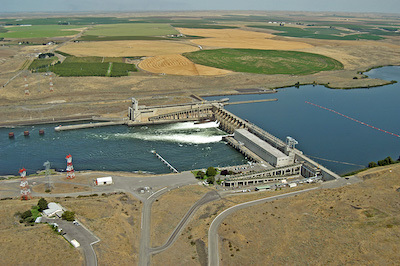 In August 2000, the Seattle City Council passed a resolution supporting the partial removal of the four lower Snake River dams which currently produce enough clean, carbon-free energy to power over 800,000 average U.S. homes. Last May, history repeated itself when the council passed a resolution directing its utility to seek ways "to promote the transition of electricity generation in the Pacific Northwest away from energy facilities that burn fossil fuels or use nuclear power." We respect the right of community governing boards to weigh in on these types of issues. It is commendable that the Seattle City Council promotes the reduction of carbon emissions; however, it strikes us that they continue to push against the very carbon-free power resources that enable Washington to have one of the cleanest electric sectors in the nation. This is puzzling to many power resource planners. The Northwest's existing hydroelectric and nuclear resources are safe, reliable, cost-effective and carbon-free. Further, these power sources are essential to the viability of other carbon-free, renewable resources such as wind and solar because they provide needed base-load power at times when the wind doesn't blow and the sun doesn't shine. In 2014, nuclear energy accounted for nearly 63 percent of carbon-free electric resources nationwide. Hydroelectric power was second at nearly 20 percent. Here in Washington, due to the many dams on the Snake and Columbia rivers, hydroelectric power produced nearly 90 percent of our state's carbon-free electricity followed by the Columbia Generating Station (CGS) operated by Energy Northwest in Richland at nearly 7 percent. CGS is the third-largest producer of electricity in our state, behind the Grand Coulee and Chief Joseph hydroelectric dams. Energy efficiency has been, and will continue to be, another significant carbon-free alternative. In fact, the Northwest Power and Conservation Council believes that new energy efficiency can address the majority of the region's projected load growth and capacity needs during the next several years; however, in looking to use energy efficiency to meet future loads, we should not abandon the carbon-free resources that serve our existing loads. It would appear that Energy Secretary Earnest Moniz shared a similar view in a recent New York Times article (May 31) by expressing his support for nuclear power as a carbon-free resource: "Maintaining the nuclear fleet is really important for meeting our near-term and midterm goals." In conveying his concern about recent closures of U.S. nuclear plants, he went on to say: "We're supposed to be adding zero-carbon sources, not subtracting." To keep the lights on during a typical rainy day in Western Washington, we can't depend on solar or wind power alone. Storing this power is a technology that has yet to be perfected. Like it or not, nuclear, hydro and even efficient natural gas are the current options available to provide power when renewable resources cannot. Former Energy Secretary Steven Chu appeared right in line with Secretary Moniz when he was quoted at a recent symposium hosted by Stanford University (Forbes, June 5, 2015). Secretary Chu criticized the Environmental Protection Agency for neglecting nuclear power in its recently released Clean Power Plan. "We should make a Clean Power Plan that's based on clean energy, not renewable energy." Nuclear power and hydroelectric power are exactly that -- clean, carbon-free energy. Chad Bartram joined Benton PUD in 2001 as the director of finance & business services and appointed General manager in 2013. He has served the public power industry for nearly 30 years. Tim Nies has been general manager of Franklin PUD since May 2015. Tim is a certified public accountant and has worked in the accounting and finance industry for 22 years.